We thought it was going to rain that evening while waiting for couple to change their outfit.. but surprise surprise! when we walk out from the car park, we were amazed by the sky colour! 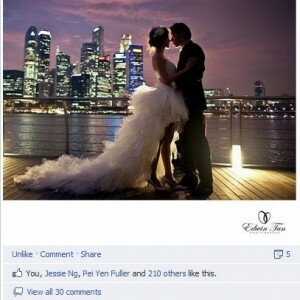 one of the images we captured that evening with Singapore skyline as background…. special thanks to Paul Kong for the assistance.